An Argentine judge ordered the arrest of Justin Bieber if he sets foot in the country after he failed to face questions about an alleged assault at a Buenos Aires nightclub in 2013, his court secretary said on Friday. A local photographer, Diego Pesoa, accused Justin Bieber and one of his bodyguards of lashing out at him when he tried to take a picture of Justin as he left the club in the capital’s trendy Palermo Hollywood neighborhood. 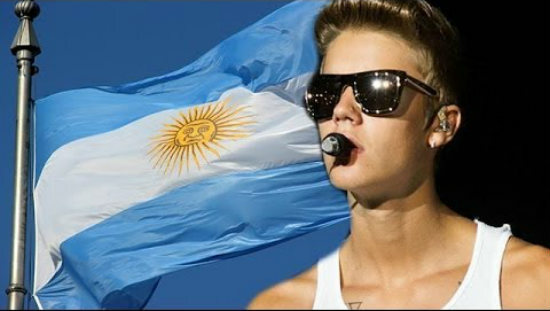 Under Argentine law, Justin would face from one month to six years in prison if convicted on a charge of causing injuries. 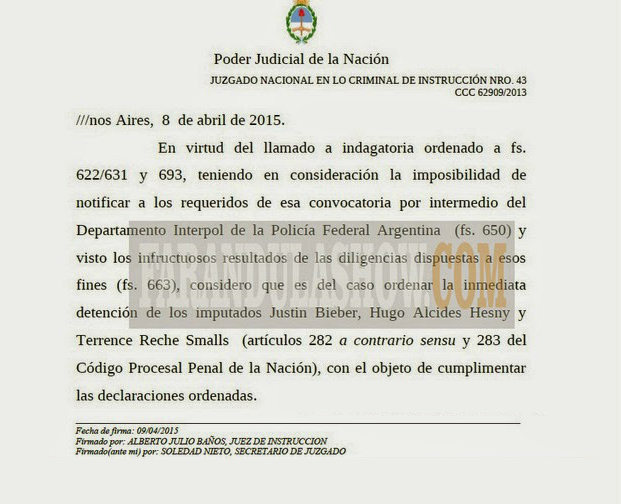 In comments to local station Telefe Noticias, Diego Pesoa’s lawyer implied that the warrant would force Justin to return to the South American country. “Now we just need to wait for the police to find him and bring him to Argentina. For us, this is a triumph against all those who said this case was a bluff and that we didn’t have anything,” said lawyer Matias Morla. 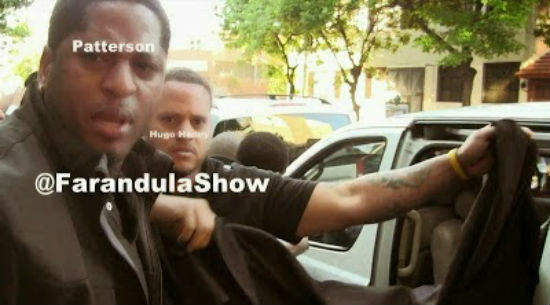 Entertainment website FarandulaShow (www.farandulaShow.com) posted a copy of the court ruling ordering Justin be detained on its web page. Court secretary Soledad Nieto, a co-signatory of the order paper, confirmed the document was authentic. The court also ordered the detention of one of Justin’s bodyguards. In November, another local judge magistrate had ordered JB to appear for questioning within two months over the same alleged incident and requested the assistance of Argentina’s Interpol branch to help locate him. JB’s representatives did not immediately reply to a request for comment. I have a feeling that this will be appealed to a superior judge and this warrant which is laughable to begin with will be overturned some time this week. Argentina will become a laughing stock if they don’t drop this soon as they have long been accused of hiding war criminals and other criminals. JB was in the car; he ONLY ordered that the bodyguard tell the photographer to stop and get out of the way; the bodyguard over reacted, chased the pap, and hit him. JB cannot control everything his bodyguards do in situations like that. They are going after JB because he has the money they want for any settlement-probably a few million. I’ts obvious the Judge and lawyer want to intimidate him into coming there; who knows if they would not attempt to arrest him anyway? JB’s lawyers will work on a settlement of this I am sure. Next crock wants to make money on Justin Bieber!